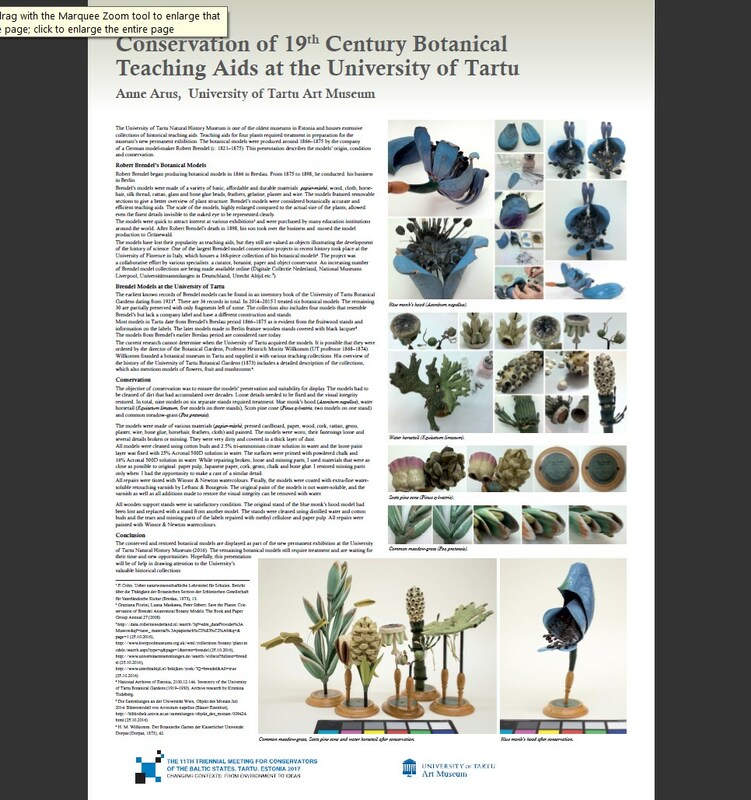 The presentation examines the process of conservation of the botanical models in the collection of the University of Tartu Natural History Museum and the Botanical Gardens in 2014–2015. The botanical models are historical teaching aids produced around 1866–1875 by the company of a German model-maker Robert Brendel (c. 1821–1898). The presentation describes the models’ origin, condition and conservation, which aimed to ensure their preservation and suitability for display. A total of nine models on six separate stands were treated. This was the first time such models were conserved in Estonia.